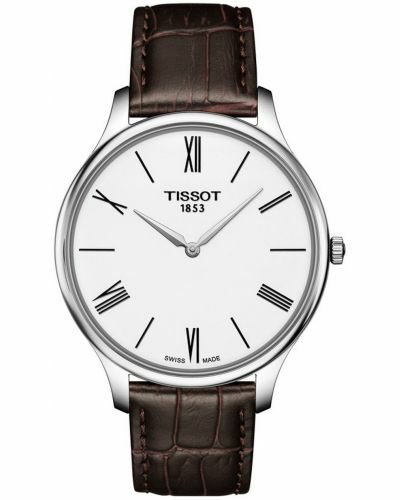 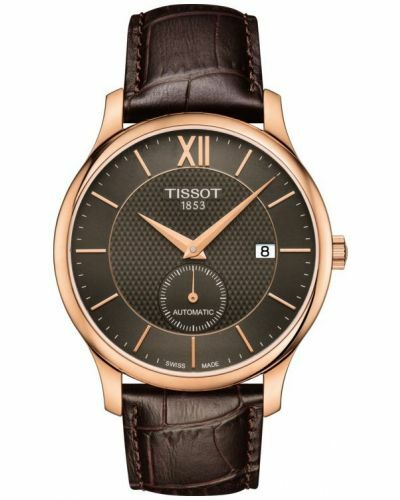 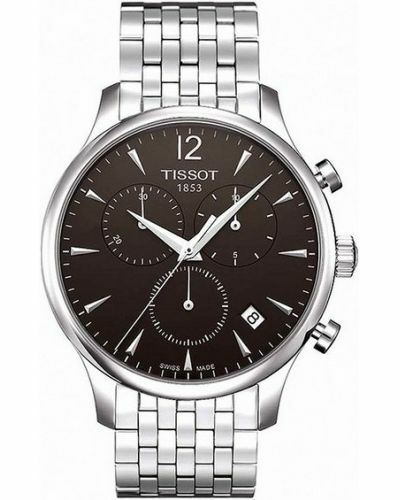 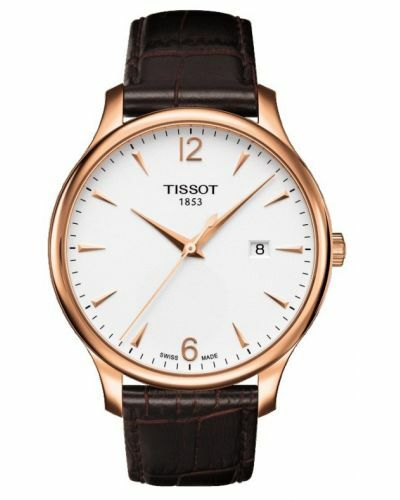 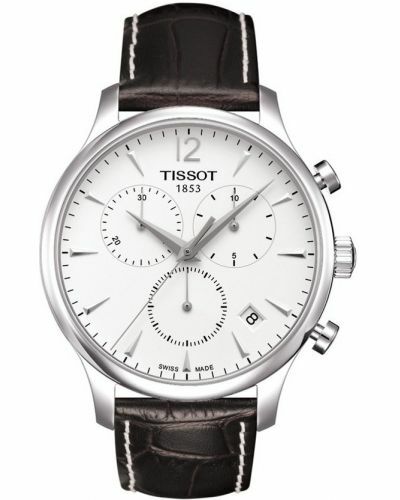 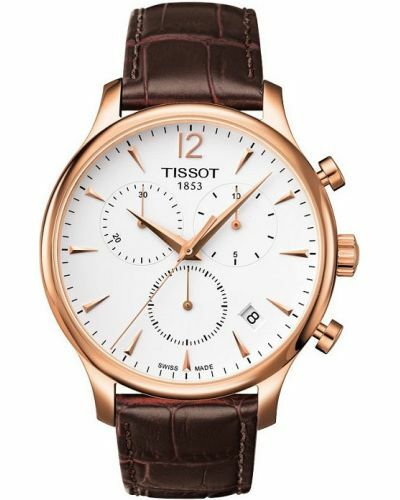 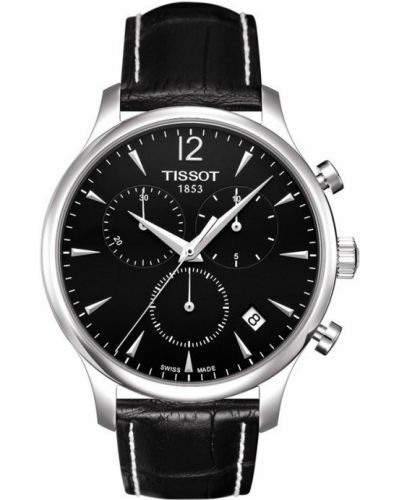 This alluring men's watch is brought to you by world renowned Swiss watchmakers Tissot as part of their Tradition collection. 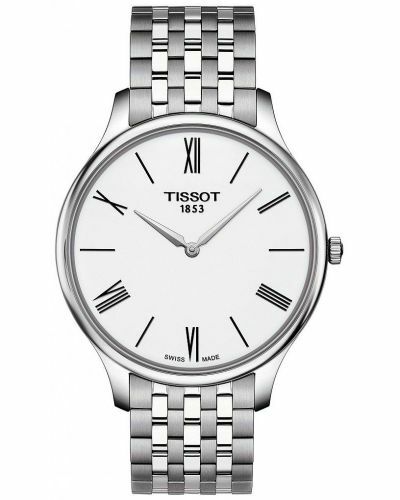 Featuring a striking 42mm round polished stainless steel case and bezel in which houses a smart silver dial with date display window. 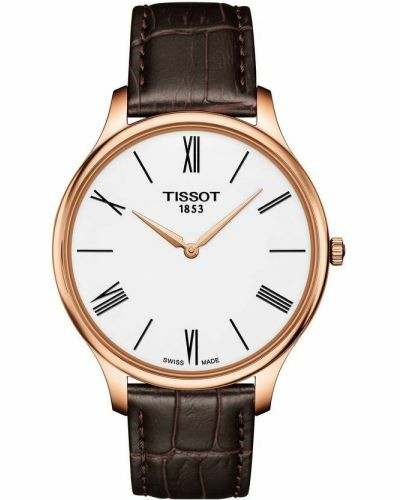 The suave dial is accentuated by the applied rose gold arrow markers and dauphine hands. 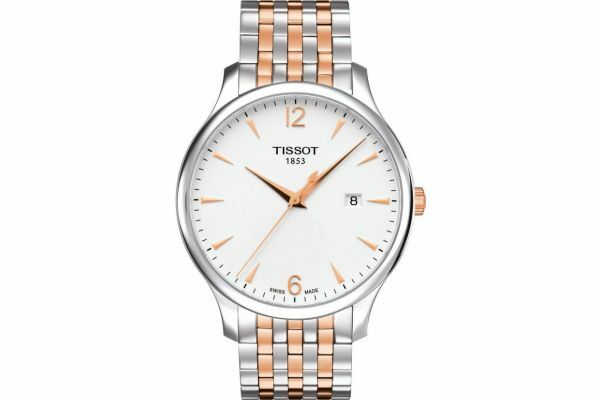 Set upon a classic link bracelet consisting of both polished stainless steel and rose gold plated stainless steel centre links; the Tradition watch is secured with a comfortable deployment clasp closure and is opened with simple push buttons. 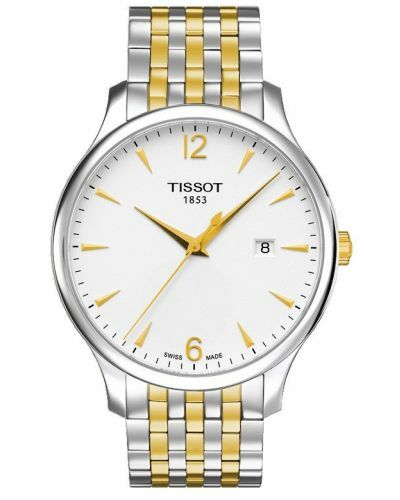 Powered by Swiss made Quartz movement and protected by domed scratch resistant anti-glare Sapphire glass; this classic watch is water resistant up to 30 meters and comes complete with a two year guarantee. 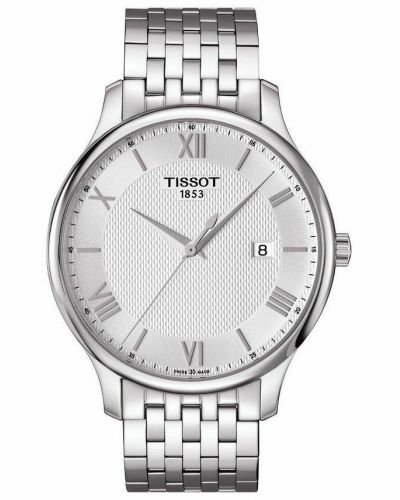 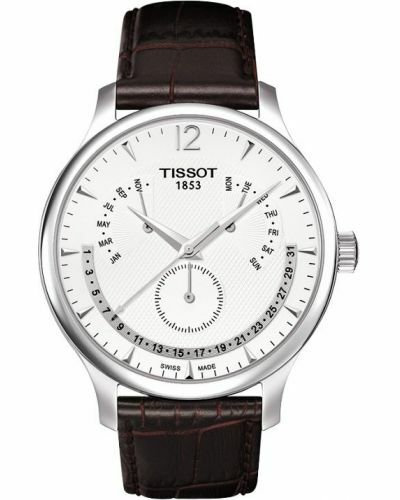 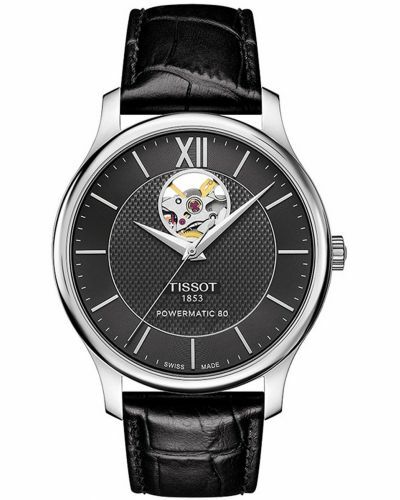 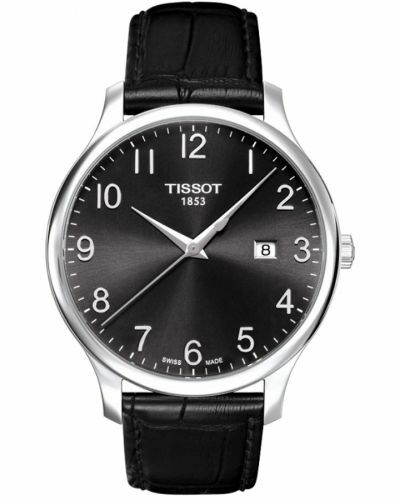 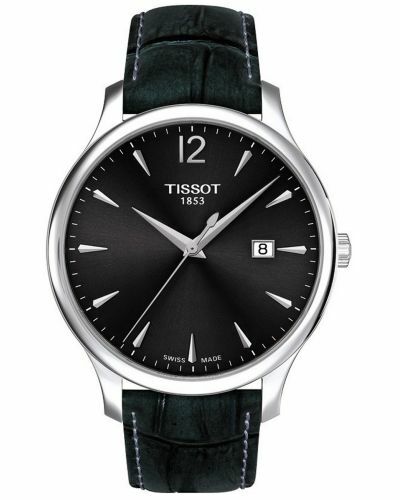 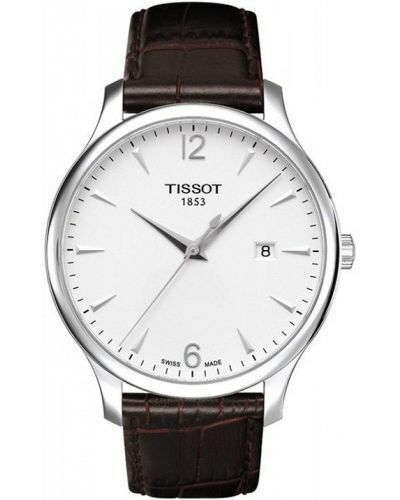 For us to size your new Tissot Tradition watch as accurately as possible, please take a look at our downloadable Watch Sizing Guide.